The summer of 2018 has seen near-record heatwaves and a series of fast-spreading wildfires which have caused numerous deaths, destruction of property and the burning millions of acres of forest. Greece, the United States, Sweden and Australia have been hit the hardest by the scorching flames, but other countries have suffered too. Wildfires are increasingly being associated with a warming climate and are becoming more severe every year. Their accrued frequency and spread puts unprecedented pressure on local authorities to contain them at very short notice. In the Greek coastal region of Attica, 91 people died and at least 164 were admitted to hospitals following the July fires, the second deadliest in the 21st century. All emergency services were mobilized, and many European countries sent help to contain the blaze. In California, tens of thousands have been evacuated, nearly 600,000 acres were burned, and hundreds of homes were destroyed, as the state simultaneously battled 17 large fires. The effort to contain them has involved more than 14,000 firefighters from 18 states. Wildfires are part of nature and play a significant role in shaping ecosystems by acting as agents of renewal and change. However, in addition to destroying properties, wildlife and human lives, they also endanger human health and contribute to climate change by releasing major greenhouse gases such as carbon dioxide, methane and nitrous oxide into the atmosphere. Climate-related crises such as floods or storms, and drought or water scarcity are unravelling, with an enormous impact on human security. Scientists worry that higher spring and summer temperatures are causing longer dry spells and increasing the likelihood of droughts and prolonged wildfire seasons. Ironically, while a warmer atmosphere can hold about 5-25 per cent more water, certain regions will face scarcity. 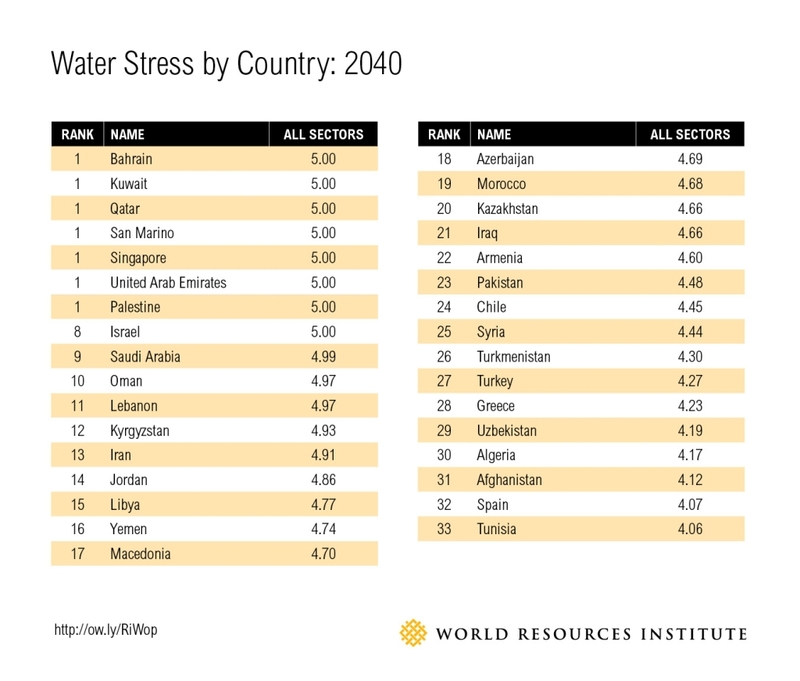 According to the World Resources Institute, by 2040, 33 countries – including Greece – will be severely water-stressed. “The environment is often recognized as a victim of war. However, environmental change and mismanagement can also play a role in triggering, exacerbating and prolonging conflicts,” says UN Environment Executive Director Erik Solheim. “In the last 60 years, more than 40 per cent of civil wars have been linked to control over natural resources such as land, oil and water. Global warming will make this situation worse,” he adds. The Organization for Economic Cooperation and Development (OECD) has added environmental and climate risks as one of the five dimensions used to determine fragility. Of the 23 countries that have been on all the OECD fragile state lists since 2007, around 70 per cent depend on climate-sensitive natural resources to a certain extent. “Fortunately, the security implications of climate change are being recognized at the highest levels. The UN Secretary-General has put it at the heart of his conflict prevention agenda, as ‘the most systemic threat to humankind’,” says Solheim. Two Security Council resolutions for Lake Chad and Somalia also recognize that climate change undermines security. The landmark resolutions (2349 and 2408) emphasize the need for peacekeepers and governments to better prepared to cope with its impacts. Over the past two decades, UN Environment has been working around the world to respond to natural disasters, industrial accidents and human-induced crises. In the past two decades, the organization has supported dozens of crisis-affected countries and territories, including Afghanistan, Haiti, Iraq, South Sudan and Sudan.